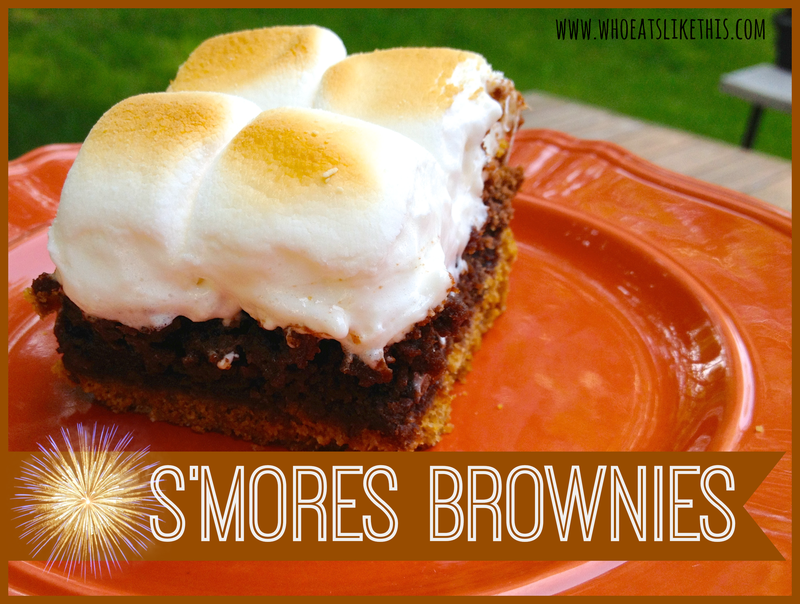 S’mores Brownies~ – Who Eats Like This? What’s more synonymous with Summer than S’mores? 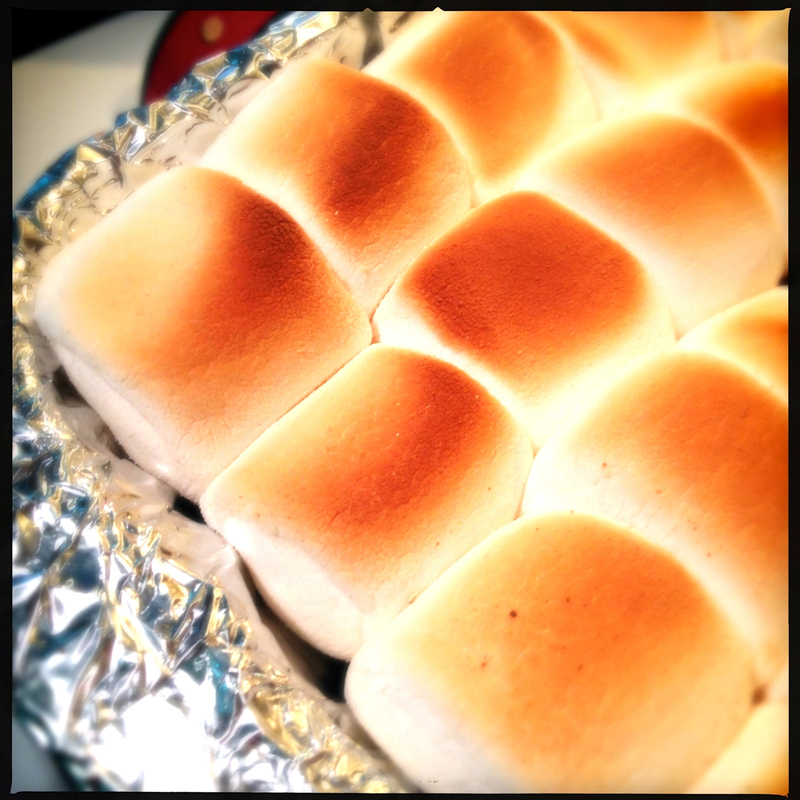 It’s the simplest of things really; marshmallows…chocolate…graham crackers all gooed up together! My kids would eat them everyday, if I let them 🙂 so they were super excited when I told them I was making these! Begin by preheating your oven to 325 degrees. 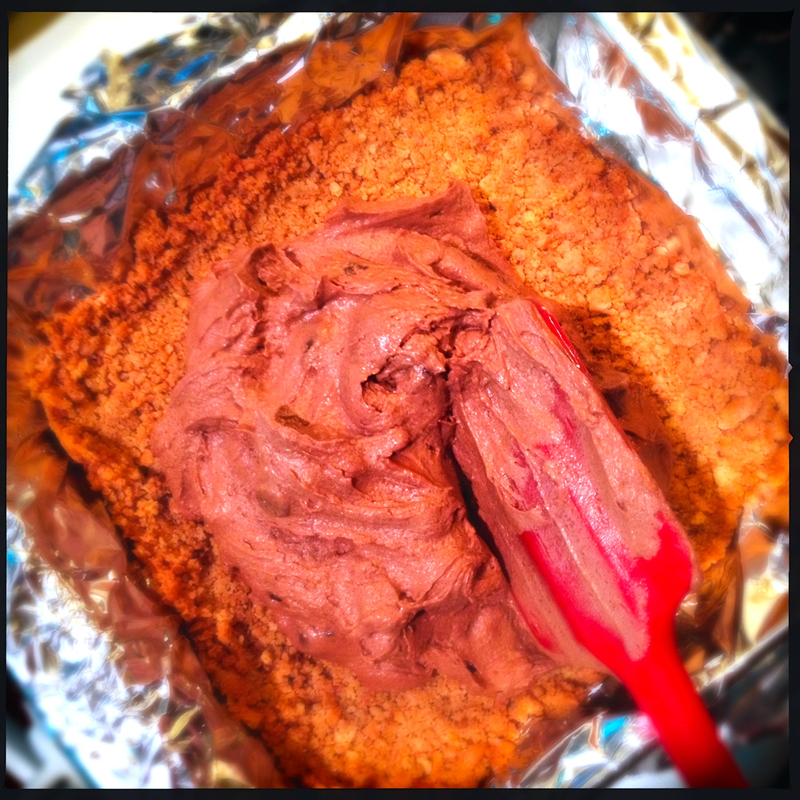 Line a 8 x 8 inch (square) baking pan with foil so it hangs over the edges by about an inch. Brownie: Place butter and chocolate in a medium microwave safe bowl and melt on 75% power for two minutes. Stir and repeat, until melted. You can also make yourself a double boiler and melt the chocolate that way. Continue by stirring together the brown and white sugars and vanilla into the melted chocolate. Add the salt…then the eggs and beat vigorously to make a thick and glossy batter. Add the flour and stir until just incorporated. 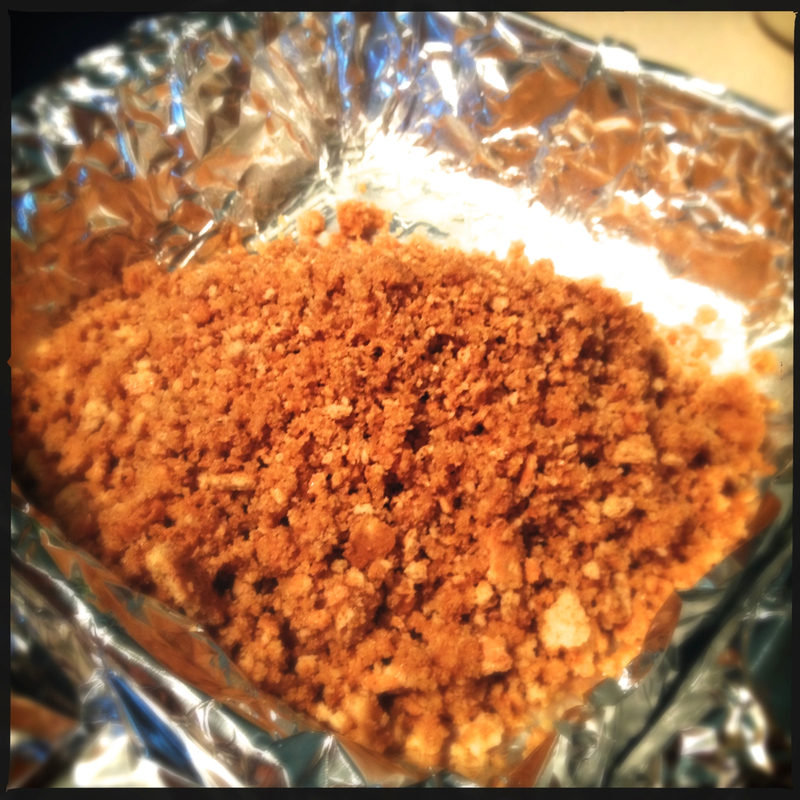 Pour batter over the graham cracker crust and bake until top is crispy and a toothpick, inserted in the middle, comes out mostly clean. Will be approximately 40-45 minutes total. Place brownie pan on a surface that won’t burn. Move your oven rack up to the highest level, that will keep the Brownies a safe distance from the burners (six inches is good) and preheat the broiler to the low setting. 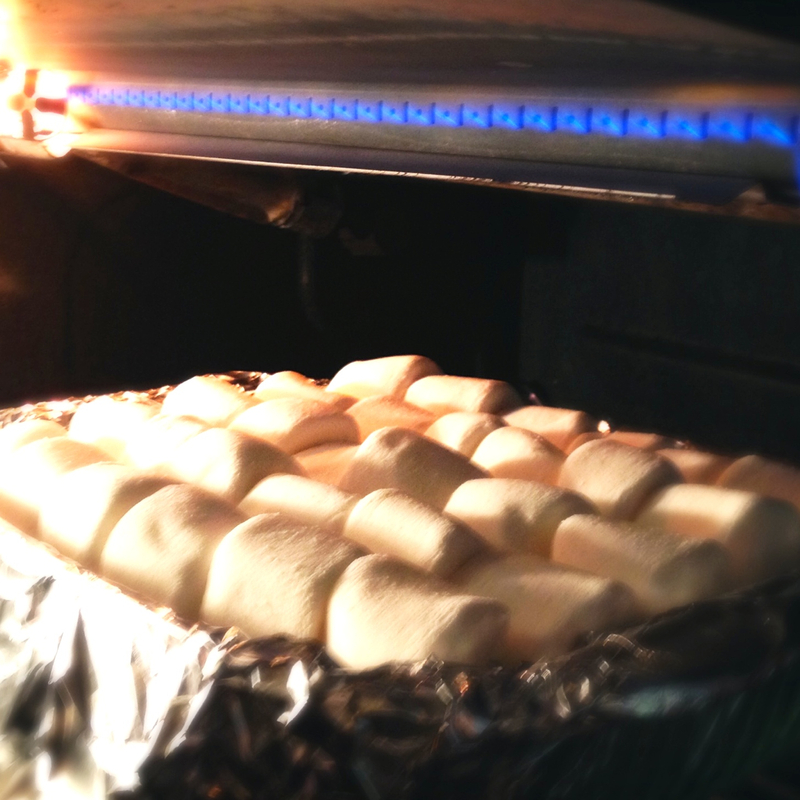 Line the marshmallows across the top of the brownies, in a fashion you like best. Place the pan under the broiler and DO NOT LEAVE. Keep a constant eye on those little babies, and rotate the pan as you like, for even browning. After about two minutes, or as browned as you like them, remove from oven and let cool on a rack, gently removing brownies from pan by lifting up using the foil liner. 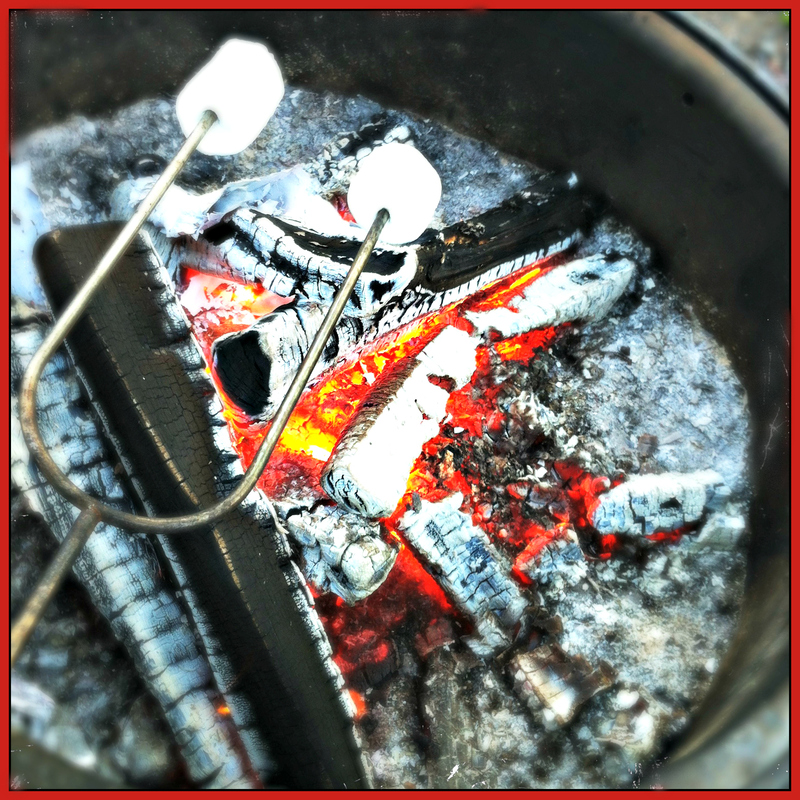 Pull the foil liner down from the marshmallow, to keep from sticking as it cools. Once cool, cut & enjoy!